This takes the cake. Insane airbrush mural, V8 swapped drift car, continental kit, vintage luggage, and more after the jump though. You know what I need on my hood!? A disembodied wave approaching a wormhole in the salt flats and encountering a tree, as well as some big cats. 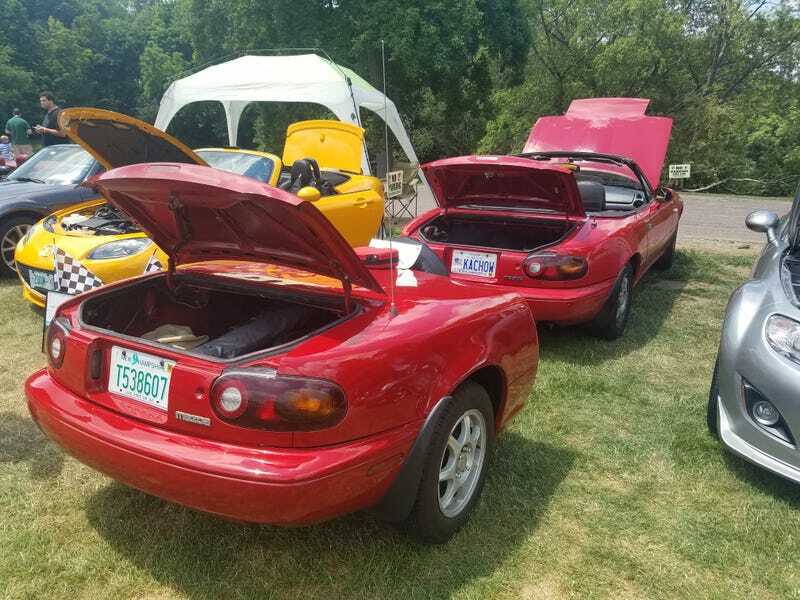 Apparently this is a relatively common Miata mod? There were a few like this. You have to wonder... is the rear end a pendulum now and what does that do to the handling? Strange center console mods. Is that a watch!? That ancient trunk has to be at least three times as old as the car.